We love florals! And we love helping you celebrate the big and little things – from the perfect small gift to say thank you, to the big celebrations that need impact, we offer something unique for each of our customers. We are a small team of flower lovers who can’t wait to help put together fresh, seasonal statement blooms for you. We love creating unique, fun and modern arrangements that push the boundaries of traditional floristry. Cabbages Flower Shop delivers beautiful flowers daily throughout the Eastern Shore and Hobart. We have an extensive range of fresh flowers selected daily to ensure they are of high quality, and we offer same day delivery service. We have been providing blooms for a range of events for over 25 years, and our arrangements are carefully designed to represent a broad range of ages and specialities. Each is full of personality and will suit any occasion, whether it’s a birthday bouquet, home or office decoration, corporate functions and much more. We also stock a range of beautiful gifts from brands such as Emeldo, Cristina Re, The Little Gifter Co, Fox and Fallow and many more! We are a member of the Interflora network, and can arrange for your flowers to be delivered across Australia and the globe.Visit or give our friendly team a call to arrange interstate and international orders. 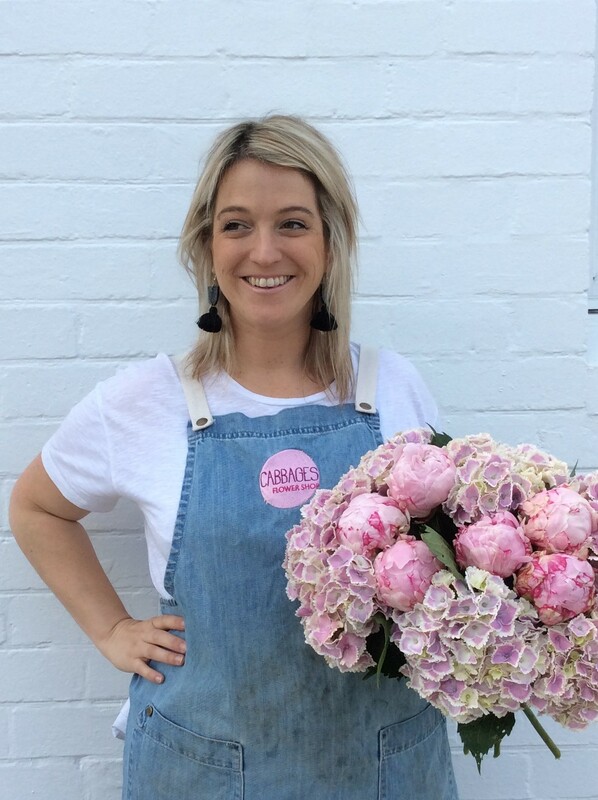 Sophie is known for her creative floristry style and loves creating arrangements with a unique mix of in season blooms and colour palettes.After twelve years in marketing working for several well known Australian brands, her creative focus shifted to floristry and she undertook study and work in Victoria to ensure she could create her own spin on the classics.